Darkness served with the bitter taste of pain. Raised in Hollywood but real life is more than stranger. It's the sun shining from my California manger. 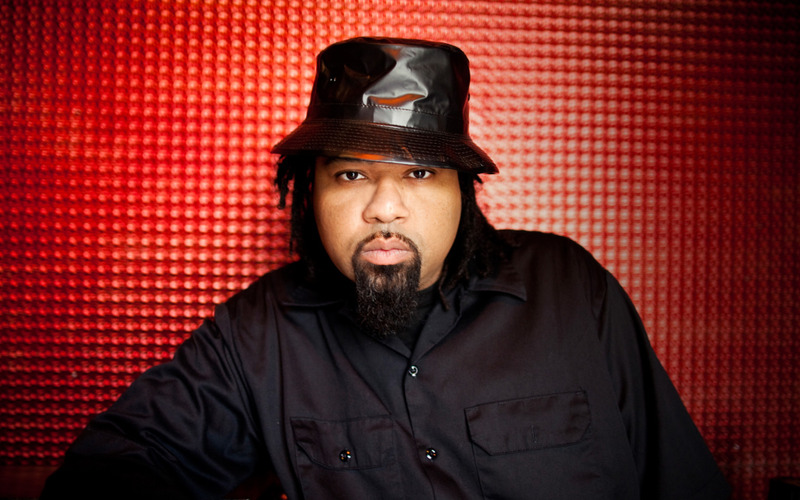 Rakaa is one third of the famed hip hop group Dilated Peoples. Formed in Los Angeles in the early 90s, Dilated Peoples became one of the most successful underground hip hop groups of the 90s. The group also flirted with mainstream success, particularly with the 2004 single “This Way” featuring Kanye West. Rakaa split off the from the group for his 2010 solo album Crown of Thorns, though the emcee emphasizes that Dilated Peoples has always been a collaboration of independent artists, and that his solo work does not spell the end for the collective. A hip hop renaissance man, in addition to his considerable skills as an emcee, Rakaa excels as a graffiti artist, has worked as an event planner, and is accomplished in the martial art Gracie Jiu-Jitsu. Tracks like “C.T.D.” rock a more upbeat mood. Leveraging a loop of Motown horns and background cheers of clipped vocals (sampled from "Heatwave" by Martha & the Vandellas), the track is soulful and makes you want to move, and Rakaa's fiery flow pumps it with energy. In “Crown Of Thorns,” things edge on apocalyptic as Rakaa invokes Biblical imagery over end of the world organs and gospel cries. Rakaa raps, “Darkness served with the bitter taste of pain/Raised in Hollywood but real life is more than stranger/It's the sun shining from my California manger” before soul man-of-the-hour Aloe Blacc comes in with a rousing hook. The album moves around frequently, but Rakaa is always on his game, and his carefully chosen group of guest musicians and producers ensure the changes of direction work flawlessly.